Medical University of Sofia, Bulgaria Ivet B Koleva is a Medical Doctor specialized in Physical and Rehabilitation Medicine in Neurology with European certification in PRM. She has completed three scientific thesis, PhD in PRM, PhD in Pedagogics, Doctor of Medical Sciences in PRM. Currently, she is a Professor at the Medical University of Sofia, Bulgaria. 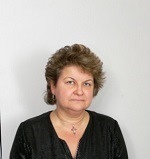 She has published more than 100 papers in Bulgarian and international scientific journals and author of a lot of monographs and manuals in the field of physical medicine and rehabilitation, neurorehabilitation, neuro ergotherapy, grasp and gait rehabilitation, functional evaluation, pain management. Inés Llamas-Ramos is a graduate in Physiotherapy from Nursing and Physiotherapy School at University of Salamanca in 2010 and did her Master’s degree in Manual Physiotherapy of locomotor system from University of Alcalá in 2012. She completed her PhD from University of Salamanca, Spain. She worked as Professor at the University of Salamanca in the Department of Nursing and Physiotherapy and also as a Physiotherapist at Medical Center Malgrat in Benavente during 2012–2017. Currently she is working as a Physiotherapist at Asprodes Feaps Salamanca and Hygea Physiotherapy. She has also published articles about cancer and dry needling in reputed journals. Vladimir Dodtiyevitch Bitsoyev (1943), Ph.D, Medicine, academician of the Academy of Medical and Technical Sciences, Colonel of Medical Service in retirement, doctor of the highest category. He graduated from the Military Medical Faculty at the Gorky State Medical Institute by specialty "Medical treatment" in 1971. 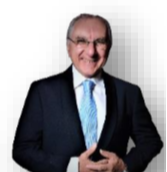 He has 75 scientific publications in national and foreign journals, 1 monograph on "Restorative medicine", methodological recommendations for physicians in restorative medicine, 4 patents (3 Russian patens and 1 German patent. V.D. Bitsoyev proved the "World novelty" of water and blood plasma activating under the influence of underwater light therapy through the fiber optic cable. V.D. Bitsoyev revealed first previously unknown new mechanisms of the effect of weak electromagnetic waves on the holistic organism as a "tunnel effect", as well as ways of their registration at the atomic and molecular levels. Inna Ivanova graduated her PhD in 2016 from National Sports Academy “Vasil Levski”. Since November 2016 she is an assistant professor at the Medical University of Sofia while simultaneously teaching at the Sofia University, until nowadays. She has several publications in journals in her home country and several abroad. Dr. Shailendra Mehta, Principal, Department of Physiotherapy, JRN Rajasthan Vidyapeeth, Udaipur, India. He is PhD (running), MPT, PGDCBR, PGYED, CLT. He has founded SHECR and Social Welfare Foundation and has trained broad horizon of lymphedema management to 1000 physiotherapists and students. He has presented 32 research papers and published 30 articles. He has authored a book entitled “Management of Lymphedema” -and had developed a new Technique for the management of lymphedema. He has been awarded with 15 prestigious awards. He is editor in chief of International Journal of Physiotherapy and Cancer Rehabilitation. Areas of specializations- Cancer Rehabilitation, Lymphedema Management, etc. Dr. Dagmar Pavlů is an Associate Professor in Charles University, Prague, Czech Republic and is a head of Department of Physiotherapy of FTVS. She earned master’s degree in physiotherapy and doctor’s degree in pedagogy. In 1995 she received her PhD (CSc.). In 2005 she earned the degree of an associate professor in exercise physiology. She was president of the professional organisation of Physiotherapists in Czech Republic and from 2004 – 2008 she was a vice chairman of ER WCPT. Her current research interests include analysis of the effect of physiotherapeutical methods. She publish altogether ower 150 publications. Sujata Khire has completed her Master’s degree in Physiotherapy with specialization in Cardio pulmonary rehabilitation. She has been into clinical practice for more than 12 years, with major interests and exposure in the field of musculoskeletal and sports rehabilitation. She is a certified Kinesiotaping Instructor from the Kinesiotaping Association International, USA. She is also a certified Dry Needling Instructor from The Dry Needling Institute, South Africa. She is currently on a private practice in Dubai. Vladimir Puzović was born on June 15, 1985 In Belgrade, where he finished elementary school and gymnasium. He graduated from the Faculty of Sport and Physical Education of the University of Prishtina in 2009. Currently, he is at the Faculty of Medical Sciences, University of Kragujevac, in the direction of Experimental and Applied Physiology with Sports Medicine. The doctoral thesis project works at the Clinic for Neurosurgery of the Clinical Center of Serbia in Belgrade. In addition to this project, in the period 2013-2014 he worked on a scientific research project in cooperation with the University of Utrecht, the Netherlands. He is a member of the European College of Sports Science, Association of Sports Medicine of Serbia the Society for Neuroscience of Serbia and the Serbian National Diving Federation. He is the founder of the Living Life Association, with whom he has so far organized a number of humanitarian actions, primarily to help young people. Ahmad Alkhatib is the Head of Division of Sport and Exercise Science at Abertay University in the UK. He is a Fellow of the Royal Society of Medicine, an accredited UK nutritionist (RNutr), a clinical physiologist, a certified international sports nutritionist (CISSN), and also a Fellow of the UK Higher Education Academy (FHEA). He was awarded his PhD in Exercise Physiology and Metabolism, and MSc in Exercise Sciences (Health and Fitness) from the University of Essex, UK. His research in exercise and nutritional sciences focuses on novel techniques to enhance health outcomes especially those combining nutraceuticals, with physical activity to enhance metabolic health, weight loss and disease prevention. He has over 100 publications and won several research and academic excellence awards. His research interest in exercise and nutritional sciences focuses on novel techniques to enhance health outcomes especially those combining nutraceuticals, with physical activity to enhance metabolic health, weight loss and disease prevention. He has over 100 publications and won several research and academic excellence awards. Dr. Shahanawaz Syed, Working as Associate Professor in MGM University, Aurangabad. Presently serving as editorial board member in 34 international and national journals. He was Honored by ASIA Book of Records and India Book of Records as Member of Most of the Editorial Boards of Health Science Journals. He has reviewed more than 55 articles of various international journals like Archives Physical Medicine and Rehabilitation, Neurorehabilitation, Physical Therapy Reviews, Research in Neuroscience e.t.c. He was invited as guest speaker by Korean Society of Exercise Rehabilitation at the autumn conference held at Gachon University on October 22, 2016. He has also received awards from the prestigious organizations of India like All India Institute of Medical Sciences, Rehabilitation Society of Physical Therapists - India. He was published research articles at various national and international journals. And also written 4 books. He was also done MoU with Texila American University to develop the curriculum for the course DPT. He also served as the organizing secretary, organizing committee member and scientific member for various International conferences across world. Postural deseases Relation between stomatognatic system and tonic postural system, how to avoid the negative effect in posture. Relation between diet , alimentation and intolerances related with postural deseases . Dr. Gopakumar is the founder CEO of Core Physio in India. Also the co-partner of Back 2 Track a one stop shop for all pain relief & fitness products / services .He has gained a rich experience of more than 23 years in this field. His main area of expertise is in Sports Physiotherapy, Neurological Rehabilitation, Developmental Exercise Therapy, Myofascial Release, Joint Pain Rehabilitation, Manual Mobilisation, Orthopedic Rehabilitation and Cardiac Rehabilitation. Assoc. Prof. Pavlů’s primary interests are in the physiotherapy and clinical kinesiology. Dr. Dagmar Pavlů is a Associate Professor at Charles University, Faculty of Physical Education and Sport (UK FTVS) and is a guarantor of study programmes in physiotherapy at the faculty. 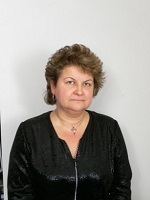 Dr. Pavlů was a president of the professional organisation - Physiotherapists of the Czech Republic (till 2014) and between 2004 – 2008 she was a vice chairman of ER WCPT (European Region of World Confederation for Physical Therapy). She is a Member of Executive Board of Association of Rehabilitation and Physical Medicine in the Czech Republic. Assoc. Prof. Pavlů is the author of two monographs and more than 150 special articles in journals. She is the head of one part of the Progres research project at UK FTVS. Her current research interests include analysis of the effect of physiotherapeutical methods. She is a Brügger-Instructor.